Exterpark decking is the best hardwood decking available, to compliment the full range of decking products we have a carefully selected and managed list of accredited installers. Our installers have demonstrated a high level of product knowledge and technical ability; they meet our high standards and their work is regularly inspected. They will provide you with a professional service and quality installation when you commission them to build your new deck. Once you have commissioned one of our accredited installers, you have the peace of mind that your investment is guaranteed for 10 years. Our Installers will carefully advise on the correct installation techniques. They will follow building regulations. Planning permission, advice and applications can be taken care of by the installer. 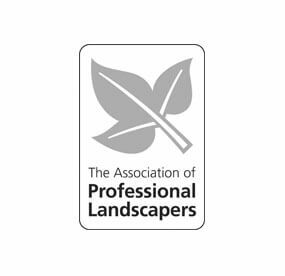 Exterpark Decking is only available in the UK through ourselves or one of our Approved Partners, When buying Exterpark decking online in the UK make sure you see one of our logo's showing below for total peace of mind. They can either design the deck for you or work to the existing design you have already. They will provide a detailed written quotation. They will only use the correct posts, beams, joists and genuine exterpark decking. Stainless steel will be used for all connections and fixings. Exterpark is the only decking with finishing pieces including L-shape and corner trims. Your new deck will be fully sanded and then coated in Owatrol Decking oil. They will offer you a full maintenance package. Find your nearest approved Exterpark Decking Installer or Supply Partner.